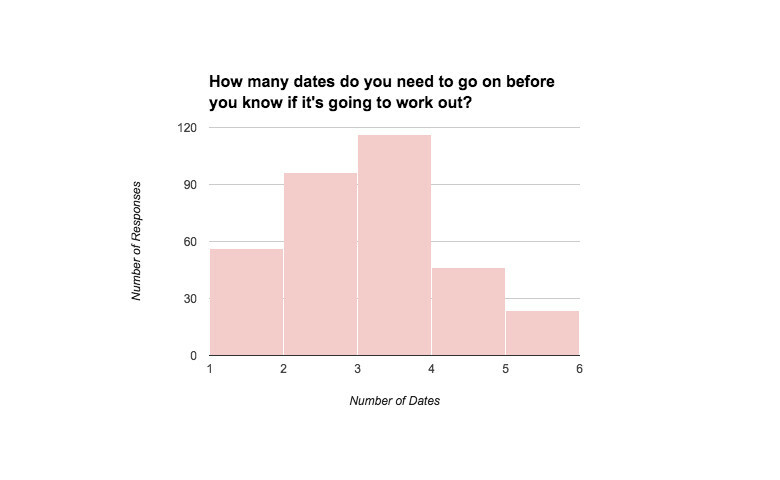 And to get a sense of the modern dating scene, we asked our audiences on Twitter and Facebook the following question: How many dates do you need to go on before you know if it’s going to work out? The options were, “1,” “2,” “3,” “4,” “5,” or “6+” dates. Eric Klinenberg is a sociology professor at New York University in New York, New York and the co-author of Modern Romance (Penguin Press, 2015). Lucy Hunt is a Ph.D. candidate in Human Development and Family Sciences at the University of Texas at Austin. Jess Carbino is a sociologist at Tinder in Los Angeles, California. Read an excerpt from Modern Romance. An excerpt from "Modern Romance."